It can be as dangerous as driving drunk and probably contributes just as much to accidents, including the fatal ones, just as much. But you won’t find the boys and girls in blue standing on the side of the road asking you to breath into this little meter so they can find out whether you’re under the influence of this thing. You can’t regulate sales of this or perform any tests at the side of the road. Even clever Swedish cars like Saab and Volvo can’t be fitted with a gadget that prevents you from driving when you fail the test (both these marques have optional accessories that prevent you from driving drunk). It’s about sleep. We all need it and an awful lot of us don’t get enough of it in the modern world. And if you don’t get enough of it, you can end up nodding off at the wheel. As anyone who’s had a cranky baby could tell you, the sound of a car engine is rather soothing and can easily lull you off to sleep. It’s particularly bad on country roads in Australia that involve long straight stretches where there’s nothing to see except the road markings whizzing past you at a constant and predictable pattern. It’s quite hypnotic late at night. It happened to my brother-in-law when he was working on a farm out the back of Adelaide. He was driving back from town late at night, perfectly sober, and fell asleep at the wheel. He lived to tell the tale, luckily for him, but others aren’t so lucky and end up going off the road into a ditch or a tree or, worse still, another car. According to the NSW transport department, there are three main things we need to keep in mind to avoid driving tired. The first is your body clock. Humans are diurnal creatures rather than nocturnal animals, which means that we are designed to be awake when the sun is up and asleep when the sun is down. Our hormones are sensitive to natural light and when it gets dark, the signal goes out to tell you that it’s time to go bye-byes. Driving at night means that you’re more likely to feel sleepy and fall asleep at the wheel – and the risk absolutely soars in the small hours (i.e. between 12 midnight and about 5:30 in the morning). We also tend to have an energy slump at midday, so this can be another time when you can get sleepy. Number two to consider is the state of your sleep account. Most adults need 7–9 hours of sleep every 24 hours, with 8 being a good average to aim for. If you don’t get enough, you go into a sleep debt. Now, a small sleep debt can be paid back quickly by skipping a few TV programmes and going to bed early but a long-term one can cause major problems, with a tendency to fall asleep at the wheel being only one of them, although it is the one that is most likely to be fatal. Number three is down to the individual. There are Night Owls and Early Birds. Early Birds usually just bounce out of bed ready to go (and have a tendency to fall asleep earlier in the evening). Night Owls hate alarm clock and even though they’re up on their feet, they don’t get fully underway until being awake for half an hour. Night Owls should be careful not to get up so late that they have to drive while they’re still in zombie mode. On a long journey that’s going to take all day, it’s wise to share the driving between a Night Owl and an Early Bird, with the Early Bird doing the driving during the first part of the day while the Owl sits groggily in the passenger seat, and the Night Owl taking over in the latter half of the day. If you’re alone, plan long drives accordingly: if you’re an Early Bird, start your trip earlier in the day; if you’re a Night Owl, start at the normal time and keep going for a bit longer. • Coffee. It should only be a short-term solution, as a serious coffee habit can lead to a bigger sleep debt. But as a one-off, it can literally be a lifesaver. So can other caffeine-laden products such as Coke, Pepsi and those energy drinks. • Fresh air. Wind down the windows to avoid the womb-like effect of a warm, enclosed space. • Sit up straighter. When slumped back in a comfy leather seat that cushions you in all the right places, it’s easy to nod off. Put the seat upright. • Music. Choose something with a strong, bouncy beat that isn’t too hypnotic in its effects. • Avoid eating carbohydrates, as these make you feel sleepy. Go for something light. Apples are supposed to be quite good at waking you up, and they certainly won’t hurt. • Pull over and sleep. Instead of fighting and fighting that haze that buzzes around your head, just find a nice place to park, lock the doors and put that seat back as far as it can go (or hop into the back seat). About 5 minutes should be enough to refresh you enough to keep going and get home. I don’t think they’ve managed to bottle it yet, but there a certain something about the smell of a new car that is very attractive. The closest the perfume industry ever came to it was Paco Rabanne’s “Calandre” (French for a car radiator grille) and it was supposed to represent the smell of leather seats and making love al fresco on the bonnet of an E-type Jaguar (French perfume gurus create briefs that instruct the poor lab techies to come up with the smell of a fantasy. But we’re getting off topic here). Even cars bought second-hand from a dealer have a characteristic smell. I have more than a suspicion that the nice smell of new cars is actually the stuff used to manufacture the dashboard and the seats off-gassing, while the smell of a dealer-bought second-hand car is the smell of the heavy-duty cleaning stuff they’ve used to get the car presentable. The trouble with this is that they’re not terribly good for your system, being aldehyde sorts of things, I think. The flip side of this is that the “new car” smell wears off quickly enough, so you’re unlikely to get too much of it buzzing around inside your system. Unless you buy new cars as soon as the fragrance wears off and douse yourself head to foot daily in Chanel No. 5 (which is chock-full of aldehydes), in which case, getting a discount deal on your next new car probably isn’t a concern. For lesser mortals like the rest of us, we want to smell something reasonable inside our cars as we’re driving along. Most of us don’t really want to smell what’s outside the car if we’re in the middle of the city – that gets saved for when we’re driving along an avenue of eucalyptus trees, passing an exquisite rose garden, an expanse of sea coast or a field of newly mown hay. Even out-of-door scents are risky if someone in the car gets hay fever, which is why a lot of modern air con systems come equipped with pollen filters. But neither do we want to smell nothing much in the car. If you do nothing about scenting the inside of the car, it will gradually take on the scent of your daily life and what you do in it. You need to make sure you take the vacuum cleaner to the inside of your car regularly to make sure that this isn’t old chip packets, dog hair and old sneakers. Tradespeople tend to have commercial cars that smell of what they do: a gardener’s Nissan Navara might smell of fertilizers, a decorator’s Ford Transit van smells of paint and one of those MPVs that has been converted into a mobile coffee bar smells of coffee. Family cars with children who haven’t quite got the hang of toilet training have a singularly organic pong that lasts well after the child in question has learned how to hold on. Put a thick towel down on top of the car seat/booster seat in this case, as it’s easier to wash. Occasionally, there are nastier smells inside the car, such as when the dog has been sick all over the inside of the family Toyota after eating sea lion poop on the beach (this is not a fictional example – at least that time the dog was sick, he didn’t get it down the gear selection lever like he did another time). It is at this point that you are glad your car has rubber mats on the floor, as this makes removing the worst of the muck easier and you can hose the mat clean. What you shouldn’t do to remove the debris is use the vacuum cleaner. Use an old towel. Then scrub up as much of the residue with soap and water, and blot up with another old towel. When the car is dry, sprinkle baking soda over the spot, leave it overnight and then vacuum it up. Baking soda absorbs smells and can remove other smells from car upholstery. If you’ve bought a second-hand car that once belonged to a smoker, you’ll need to nip down to the local hardware store that hires out carpet cleaning machines and make sure you get the upholstery attachment so you can give the car the once-over or even the twice-over. What about car scents? These are very popular, but they always smell a bit fake. They’re not all that good for you, either, and are probably as hazardous to your health if you have them in your car all the time as getting a blast of car exhaust from the diesel vehicle next to you except it smells nicer. Go for natural scents, as these are a lot better for you. VW Beetles come equipped with a little vase that you can put a scented rose or a couple of spikes of lavender into if you want to get natural scent that way. Those without Beetles should probably not try to use cupholders as a place to put a vase of flowers. It’s a better idea to make up your own essential oil spray. Go to the chemists’ shop or the health food shop and pick up a bottle of some essential oil you fancy. Make a 50:50 mix of white vinegar and water, then shake about 20 drops of essential oil into it. 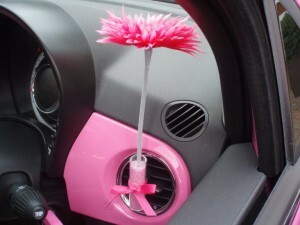 Leave this in the glove box of the car and spray it around the inside of the car whenever you fancy. As a bonus, you can also use it for cleaning chrome, glass and plastic/vinyl bits inside the car (for leather, use a mix of essential oil, vinegar and olive oil as a scented cleaner). It’s about now that a number of us start wavering and even cracking a bit when it comes to New Year resolutions, especially if that resolution involved giving up a bad habit or breaking an addiction, such as smoking. So here’s a bit of research to act as an extra incentive to help you keep that resolution and give up smoking – hang in there! A lot of people try to cut down gradually by limiting the places where they let themselves smoke, and for a lot of people, the one place they let themselves smoking is in the car when they’re driving. They promise themselves that they won’t touch a cigarette unless they’re driving. However, if you regularly have passengers in the car, especially if those passengers are children, you might want to rethink the wisdom of this. Recently, a research paper has been published by Tobacco Control (part of the British Medical Journal stable) looking at just how much the passengers in the back seat of a car are affected by second-hand smoke when the driver is having just a little wee cigarette, even when the windows were down. It was quite a simple experiment that was looking at two things, but the one that will interest most of us is how much the passengers in the back seat were affected (the other thing the researchers were looking at was how long it takes for the body to produce all the “oh heck – I’ve been exposed to second-hand smoke” chemicals and how long they last). It was quite a simple piece of research, really, but don’t try this one at home unless you are a doctor and you want to publish your findings and go through all the right ethical protocols. The hospital got a set of hire cars that permitted smoking, got a handful of volunteers that smoked and a handful of paid non-smoking volunteers. The smoker parked him/herself in the front seat of the car with the windows down as the car sat parked in the hospital car park, while the non-smoker sat in the back seat on the passenger side (i.e. as far away as possible from the smoker). The volunteers sat there for an hour, with the smoker lighting up a cigarette every twenty minutes (he/she went through three cigarettes in the hour). Then the smoker went off home while the volunteer stayed in the hospital for 24 hours giving blood and pee samples every so often (presumably the volunteer was fed as well). They also stuck a series of air quality monitors around the inside of the car to see how much smoke hung about inside. The results? About three to four hours after being exposed to the second-hand smoke in the car, even with the windows down, the non-smoking volunteers had levels that would have been high enough to trigger asthma attacks in adults with this condition, to say nothing of what the levels would have been like in children (the experiment wasn’t done with children for ethical reasons). And there was a significant level of the “help, I’ve been exposed to a carcinogen” chemical associated with second-hand smoke. To be fair, the results weren’t exactly the same in each subject, but this could have been because three different hire cars were used (a Ford Taurus, a Pontiac Grand Prix and several Chevrolet Malibus – it was a US study). The cars had already had a dollop of second-hand smoke and the cars with more surface area inside would have exposed the volunteer to more gunk. This might be something to bear in mind if you are looking at buying a second-hand car that once belonged to a smoker and you don’t smoke: call in a friendly upholstery cleaner to give the car the once-over to remove as much gunk as possible (the car will smell better, too). Secondly, if you think that because your car is larger (say, an MPV such as a Mitsubishi Grandis) and you don’t smoke when the kids are in it, they won’t pick up as much second-hand smoke compared to what they’d cop in, say, a Suzuki Swift Sport, you’re wrong. There’s more surface area inside a bigger vehicle, which actually means more exposure rather than less. The other thing that the researchers pointed out was that the cars were stationary for an hour during the experiment, and this isn’t quite like normal conditions. Even in the worst traffic jams, you’re not stationary for an hour. However, if the windows are down and you’re driving along, some of the smoke will certainly blow out, but other nasties put out by the surrounding traffic in an urban area will blow in. And if you shut the windows… well, let’s not go there! The moral of the story? 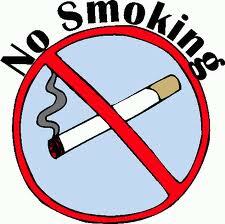 Well, quitting smoking is the best bet. If you are trying to cut down and are doing so by limiting yourself to only smoking in the car, go one step further and only smoke when you’re alone in the car. This goes double if you’ve got children. If you’re not a smoker and you want to minimise your exposure, avoid second-hand cars that have been owned by smokers or at least give them a good clean once you’ve bought… or just buy a new car! You have to admit it: no matter how much you heart longs for a car that’s all power and wrings the most out of a massive engine as you roar full bore down some deserted highway at extremely high speed, your head probably tells you that getting something that does well in the fuel economy stakes. So it’s kind of nice that there are heaps of people out there researching which cars are good and not so good in this department. In the USA, they have a website set up by the government that’s dedicated to fuel economy and is there to help people pick the most fuel-efficient cars (incidentally, when we post a new car review to our list, we try to include the fuel economy figures whenever we can, as we know that this factor is as important to most new car buyers these days as the engine size is). If you want to know more about it, you’ll find it at http://www.fueleconomy.gov. According to this US government department, the following have been listed as the most fuel-efficient cars of 2013… at least so far, as there are bound to be more cars coming out this year that might be better. One point: not all these US cars are available over here and all these figures and stats are for US models. The other thing is that most of the real winners are electrical vehicles – we’ve given you the non-electric winner in a category as well just in case plug-in vehicles aren’t practical for you. Large sedan: Tesla Model S 60 kW-hr battery pack (95 mpg equivalent in electricity); Ford C-MAX Hybrid 4WD (47 mpg). Two-seater: Smart fourtwo electric drive (107 mpg equivalent); Smart fourtwo (coupé and cabriolet; 36 mpg). Small station wagon: Honda Fit EV (118 mpg equivalent); Audi A3 and Volkswagen Jetta Sportswagon (34 mpg). And just so you know what to avoid, this is the list of the least fuel-efficient cars in each class. Most of them are posh sports cars that are designed as toys of the very wealthy, which isn’t that surprising, really. Large sedan: Maserati Quattroporte, Mercedes Benz S600, Mercedes Benz S65 AMG and Rolls-Royce Phantom: all 14 mpg (but if you are able to afford a Rolls, fuel economy probably isn’t an issue for you). Medium sedan: Ferrari FF and Bentley Mulsanne: 13 mpg. Compact: Bentley Continental GT FFV, Chevrolet Camaro, Mercedes-Benz CL600, Mercedes-Benz CL65 AMG, Rolls-Royce Phantom Coupe and Rolls-Royce Phantom Drophead Coupe: 14 mpg for all of them. Subcompact: Bentley Continental GTC and Bentley Continental Supersports Convertible FFV: 14 mpg. Two-seater: Bugatti Veyron: 10 mpg and the least efficient of the lot. Small station wagon: Cadillac CTS Wagon: 14 mpg. The final sales figures for 1012 are in, and they make very interesting reading. The full press release published earlier today is reproduced below. Mr Weber commented that the record result is also notable because of changing consumer preferences which are reflected in the segments’ changing market share. The single largest category was still the passenger car segment (51.9 per cent); however, the burgeoning SUV segment increased its market share by 3.3 per cent to 27.5 per cent with an all-time sales record set in 2012. “For the second successive year a small imported car, the Mazda3, is Australia’s most popular model,” Mr Weber said. “The same vehicles as 2011 also hold the top five spots, but in a different order. “And three of the top ten are also built locally, dispelling any suggestion that our domestic manufacturers aren’t producing cars that Australians want to buy.” Sales results Toyota was the best-selling vehicle brand in 2011, with 218,176 sales for a market share of 19.6 per cent. Holden and Mazda finished second and third with 114,665 sales (10.3 per cent market share) and 103,886 (9.3 per cent) respectively. Mazda3 was the best-selling model for the full year, beating the Toyota HiLux by 3,482 vehicles to finish with 44,128 sales.